A group of Russian scientists have finally achieved triumph and success in discovering the magic compound that can work on mitochondria and slowdown the process of ageing of organism. The world’s most-awaited anti-ageing research findings were published in a breakthrough paper in the US journal Aging and the study was made by Lomonosov Moscow State University by a well-known Russian biologist Prof. Vladimir Skulachev. The Russian scientists studied the process to slow down ageing using artificial antioxidant SkQ1 that is targeted into mitochondria. With Swedish scientists’ help, they created a special strain of genetically-modified mice. The single mutation injected these mice resulted in increasing mutagenesis in mitochondria while those given AkQ1 were able to slow down aging process. The mutant mice group from Sweden labs was given small doses of SkQ1 measuring 12 micrograms from age 100 days old through water and they claimed that the compound saved animal cells from the toxic byproducts of mitochondria, free radicals among others. When they reached thye age of 200-250 days, animals not given the compound began to show age-related problems such as weight loss, lower bdy temperature, severe curvature of the spine due to osteoporosis, developing alopecia, skin becoming thinner, and impairment of estrus cycle in female mice. 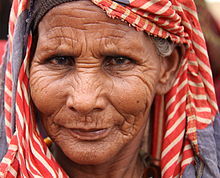 But all these traits of ageing were visibly decelerated in the group treated with SkQ1 and some of the problems never appeared in the group, said researchers. Several Swedish scientists such as prof. Barbara Cannon who has such title as the President of Royal Swedish Academy of Sciences in her CV and Prof. Jan Nedergaard, Head of Wenner-Gren institute cooperated with the research findings, he said. To make the new miracle drug available for the public, Prof. Skulachev is developing a set of drug compounds based on SkQ1 molecule and the first among them called Visomitin eye drops is already approved and marketed in Russia, said reports. In the US too, the eye drops have passed phase 2 clinical trials, said reports, while an oral form of SkQ1 undergoing clinical trials in Russia. Scientists are upbeat that the anti-aging drug will be made available in three years once the trails are conducted and approved. Anti-aging research has won acclaims across the people and Elizabeth Blackburnwon the Nobel Prize in Physiology or Medicine 2009, and Andrew V. Schally too won a Nobel in physiology while Japan’s Shinya Yamanaka won the Nobel Prize in Physiology and Medicine 2012 for her research on Aging. An avid researcher on aging process, Skulachev in his 2013 interview said, “We set ourselves a much simpler task: to transfer humans from the category of aging organisms into the category of non-aging organisms. Non-aging organisms exist in nature, both animal and plant” He referred to the most striking example of the naked mole rat which never suffer from cancer, cardiovascular and infectious diseases, with a life expectancy of more than 30 years, which is rare for rodents. “The recent work of biochemists show that naked mole rats turn off a number of regulatory systems that are active in genetically close relative species. And it is very likely that as a result they have interrupted signals that trigger the mechanism of aging.” And there lies the secret of his anti-aging drug based on SkQ1 molecule.